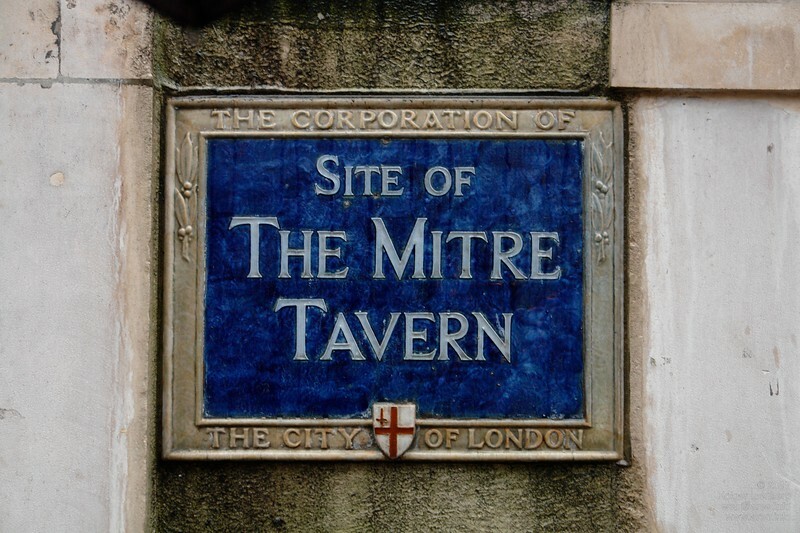 Sign of the old Mitre Tavern, City of London. Note, that "City of London" means "The Corporation of the City of London" which is the central area in downtown London, marked by red white bollards. One of its well kept legacy over the centuries at least since 700 years, and most likely even longer since the Roman period, is its elected local government, independent from monarchies and the church.